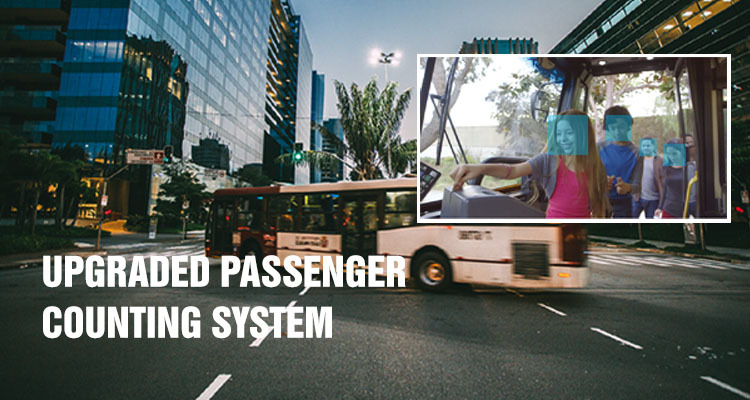 The passenger counting system consists of a passenger counter, two infrared night vision cameras, a T366G vehicle tracker, and the Meitrack MS03 tracking platform. It is designed to count the number of passengers entering and leaving a transportation vehicle. Two infrared night vision cameras are installed at both the front and back doors of a vehicle. If the passenger counter receives a trigger from when the door opens and it will start to detect passengers’ heads or shoulders as it starts counting passengers. After the doors are closed, the T366G vehicle tracker will upload the number of passengers and positioning information to the back-end server and platform. Even at night, the system can work properly and provide accurate statistical data. After that, the passenger counter reports can be retrieved from the MS03 tracking platform, including the time, number of passengers entering and leaving a vehicle and total passenger count. These reports are an effective way to determine the passenger load for the purpose of adjusting driving routes and operating time to prevent vehicle overloading, thus reducing operating costs. Learn more about the Passenger Counting System.